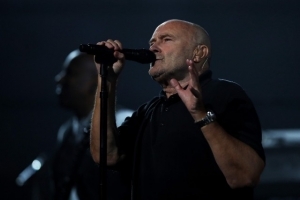 5:00 a.m. - 8:59 a.m.
Phil Collins announced his first major North American tour in 12 years. The 15-date “Not Dead Yet, Live!” launches October 5th in Ft. Lauderdale, Florida and concludes October 28th in Los Angeles. The tour, titled after his 2016 memoir Not Dead Yet, is billed as a celebration of Collins’ career. Find more details and his tour schedule here.